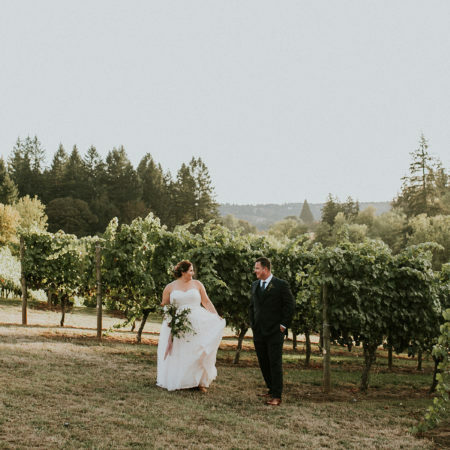 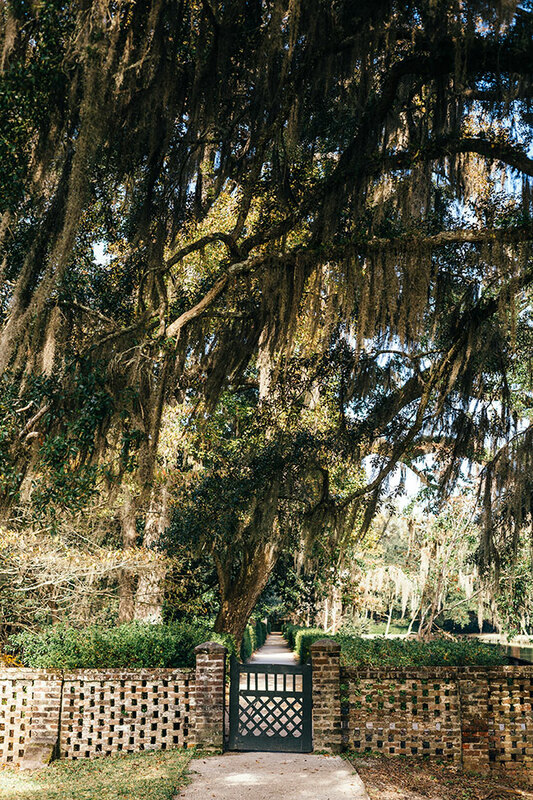 Sweeping plantations are always a big draw when it comes to anything romantic. 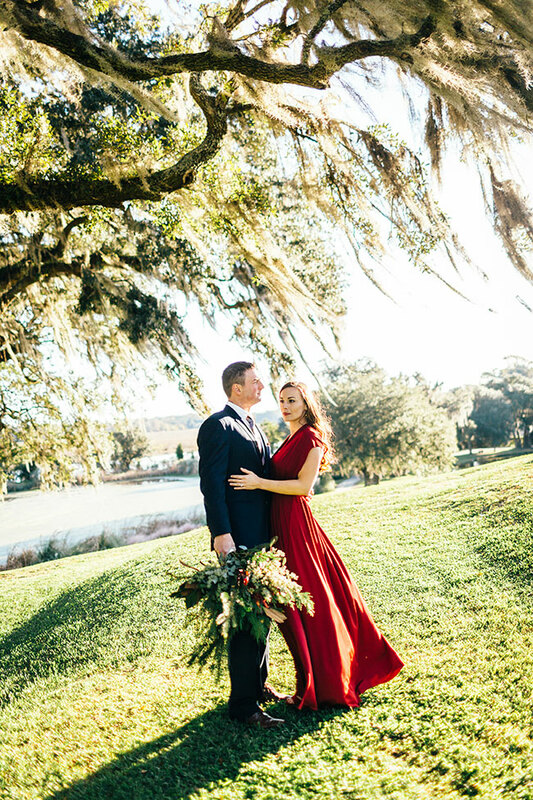 Plantation weddings, plantation engagement sessions, even the perfect spot for the perfect date. 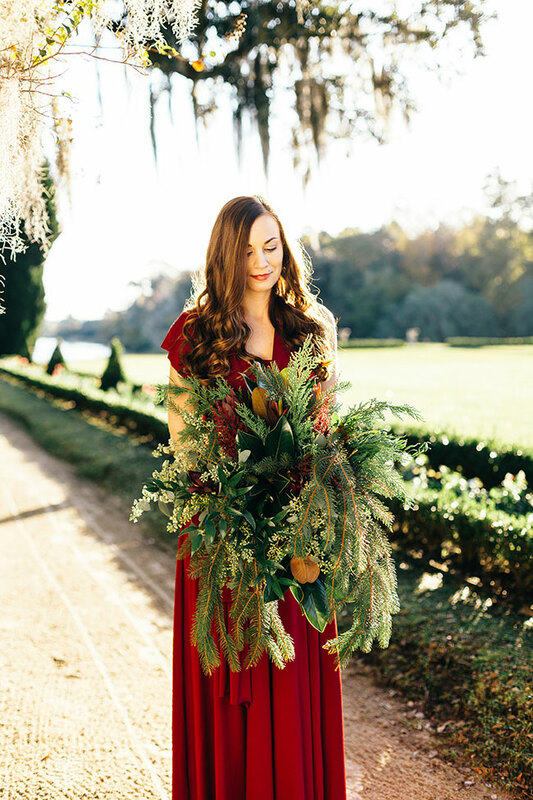 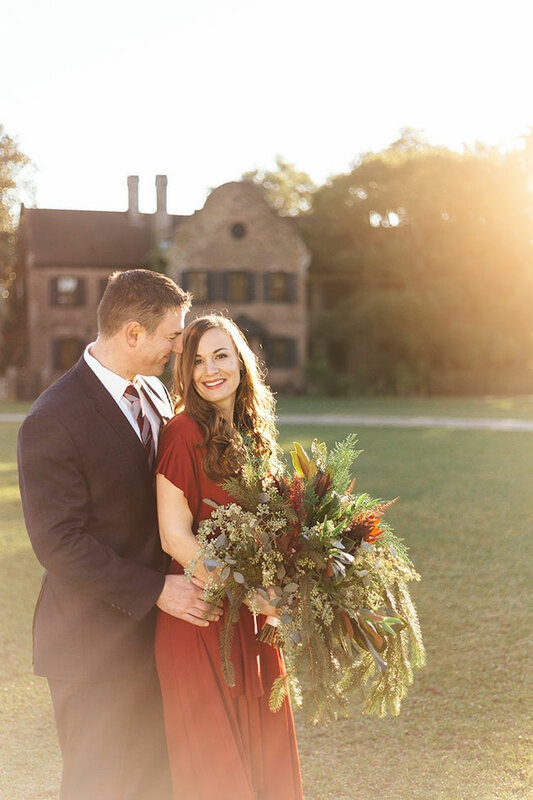 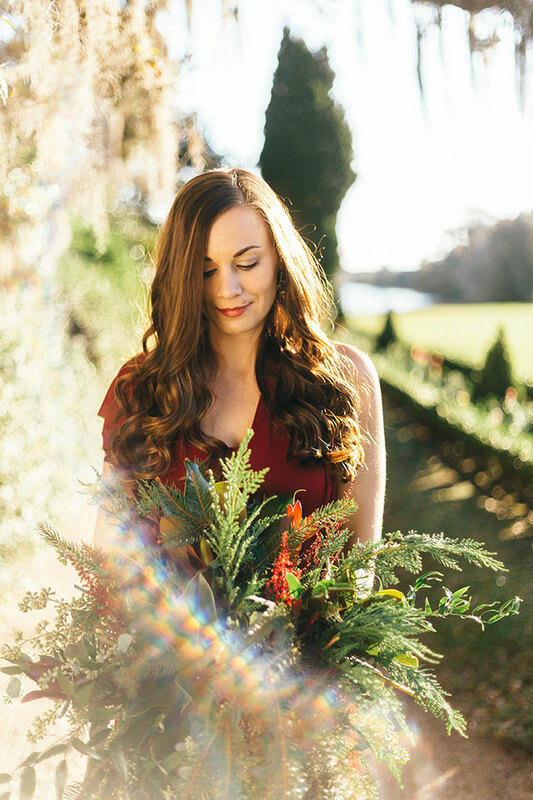 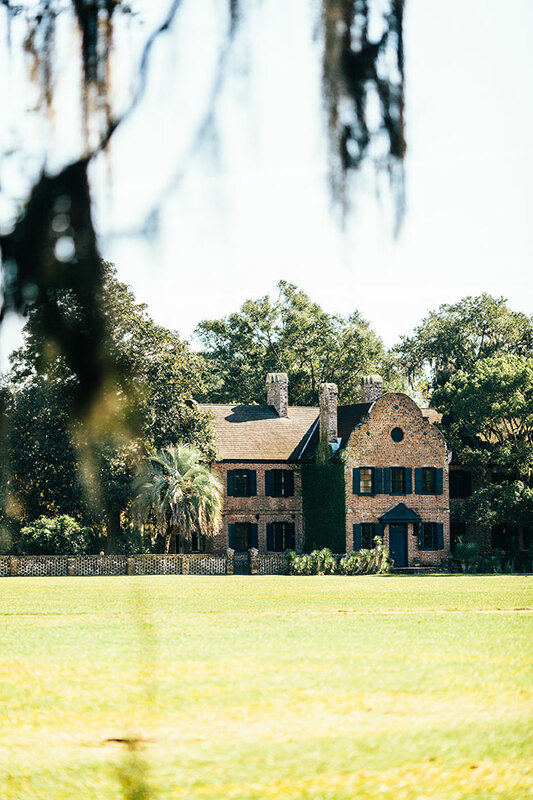 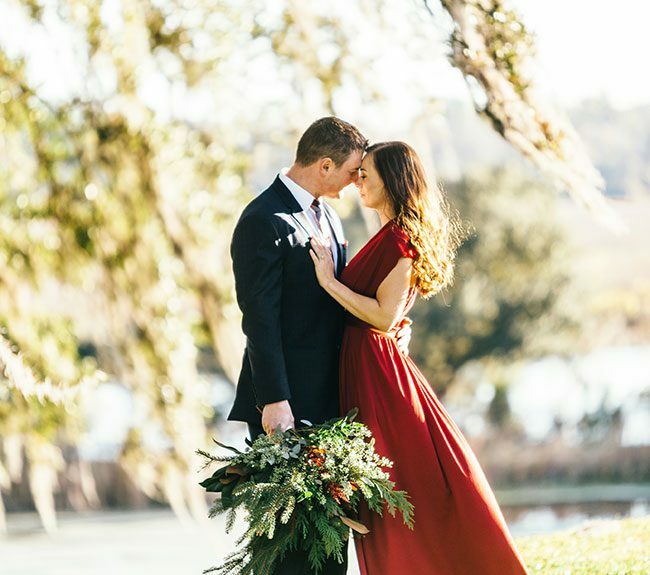 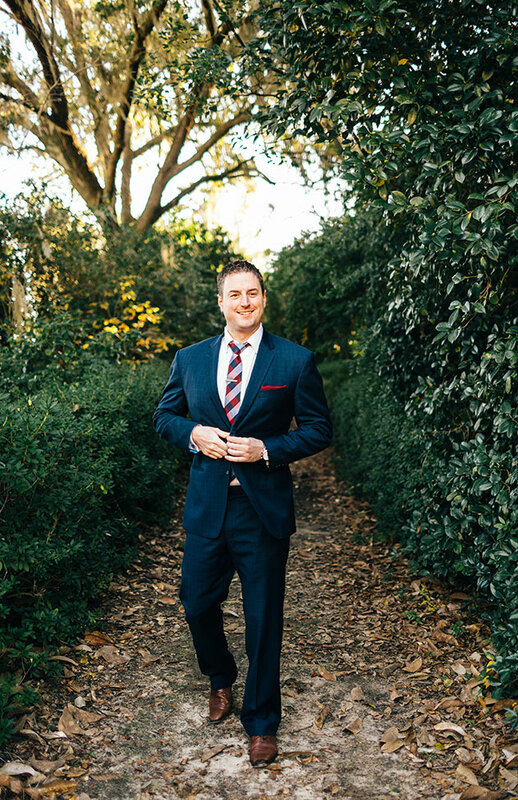 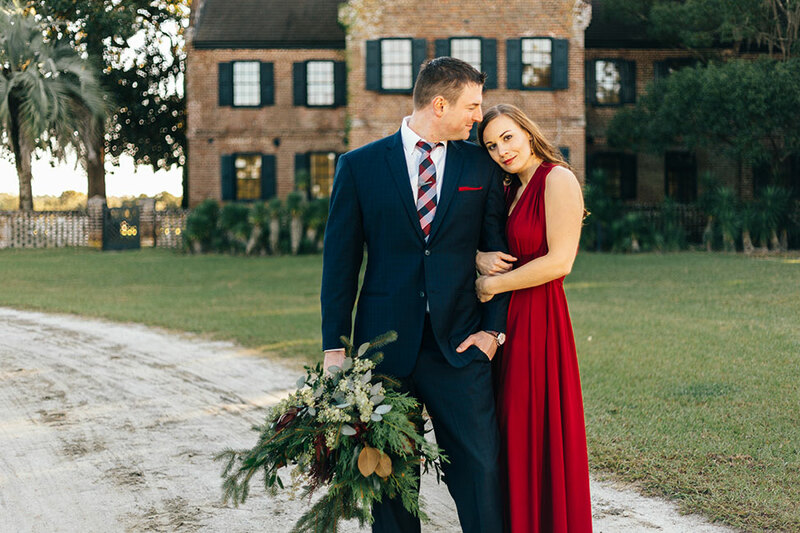 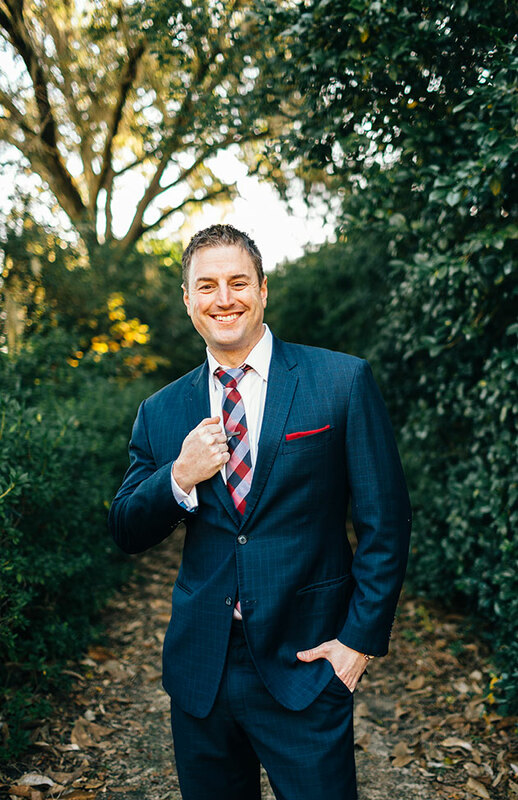 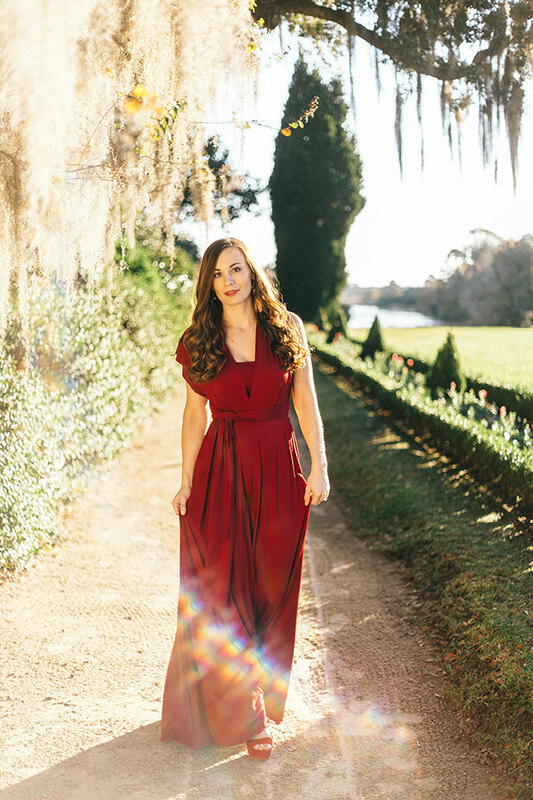 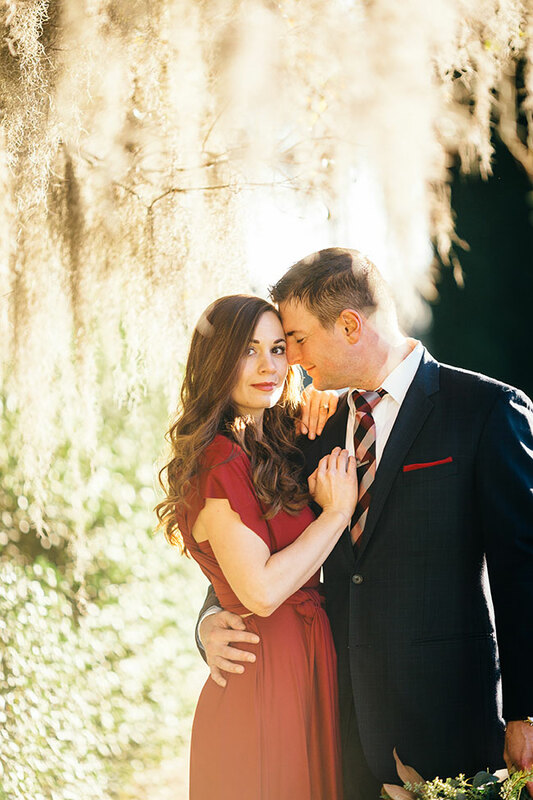 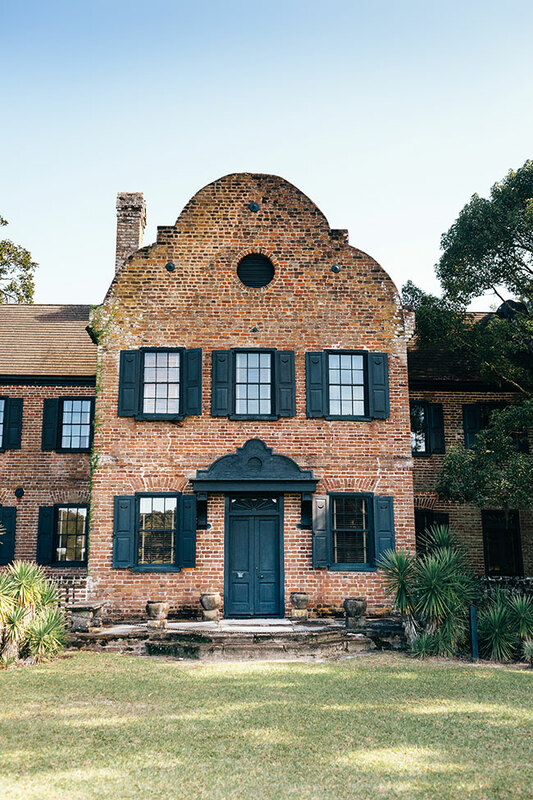 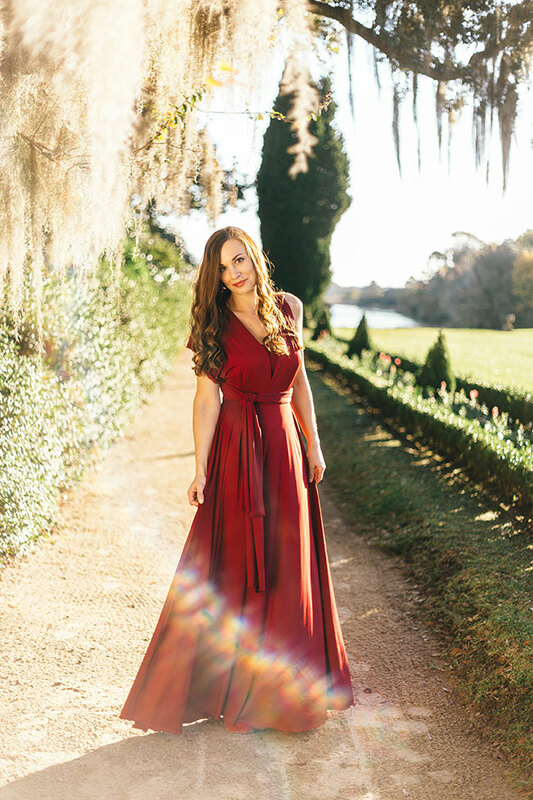 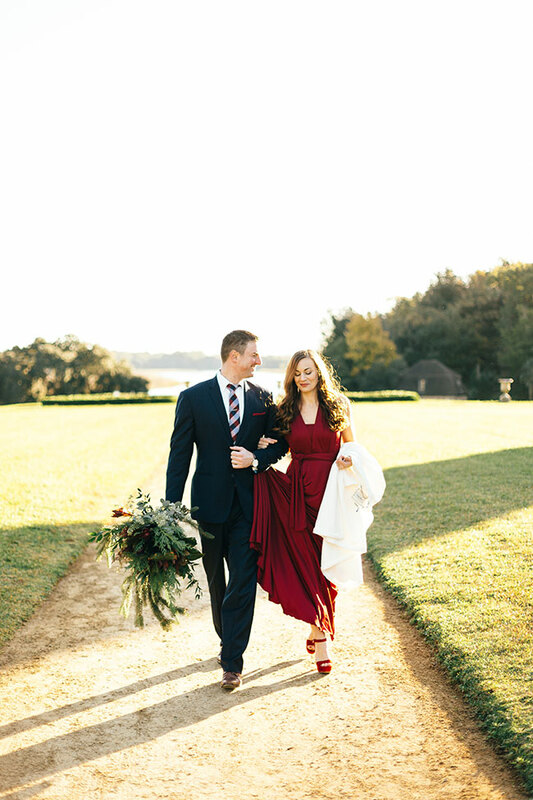 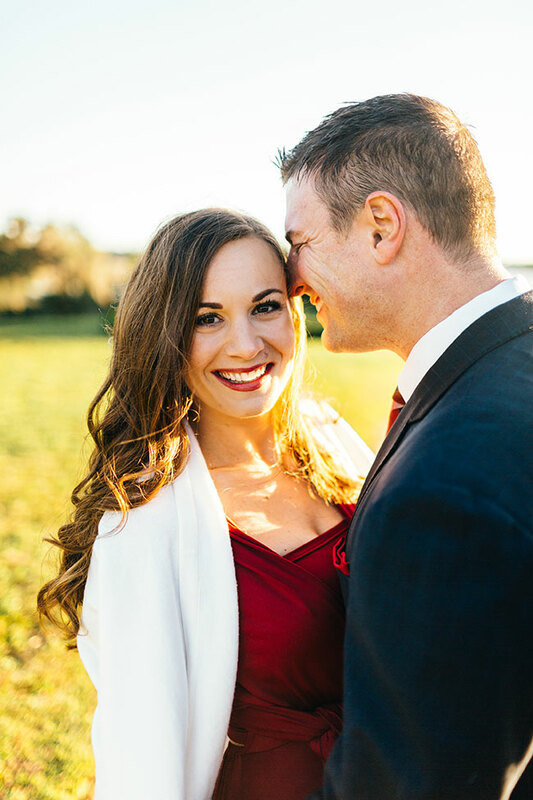 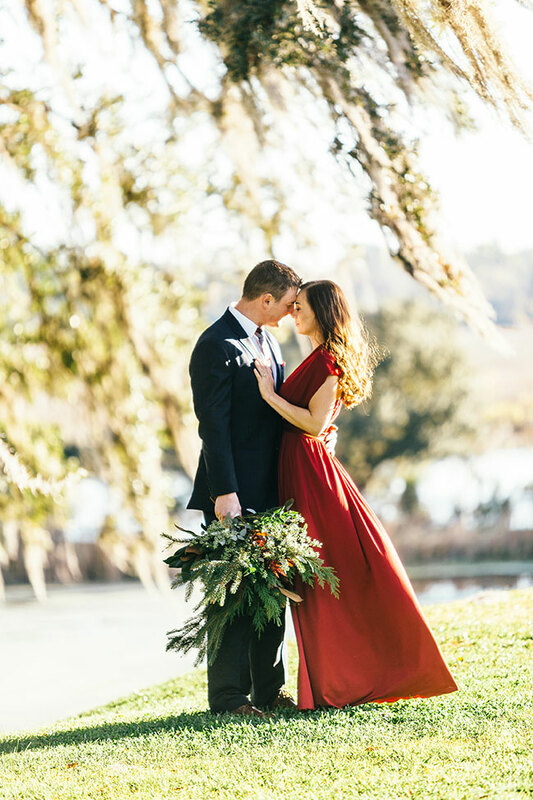 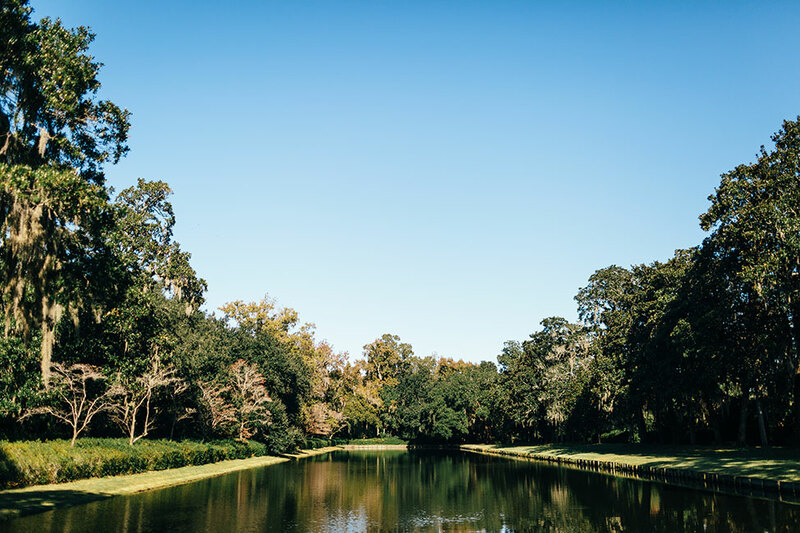 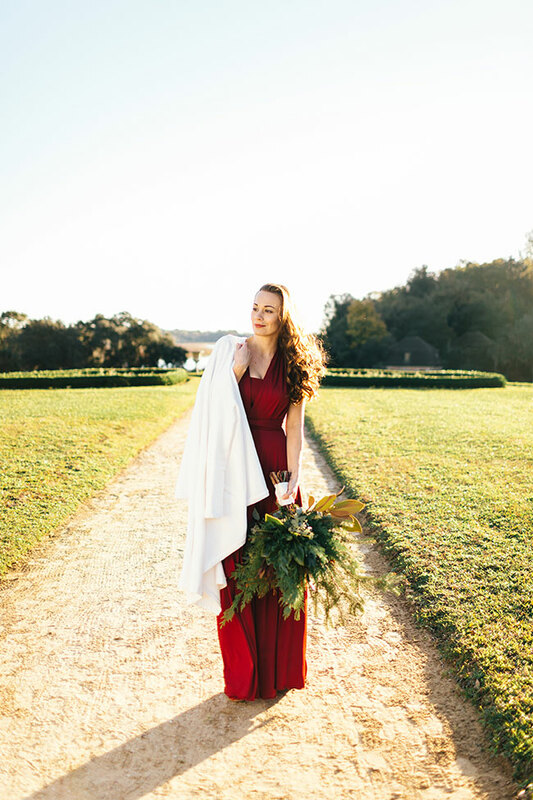 Tennessee wedding photographer Erin Morrison Photography recently journeyed down to the magnificent Middleton Place Plantation for a late winter plantation engagement session that took advantage of the gorgeous rays cast by the raising sun. 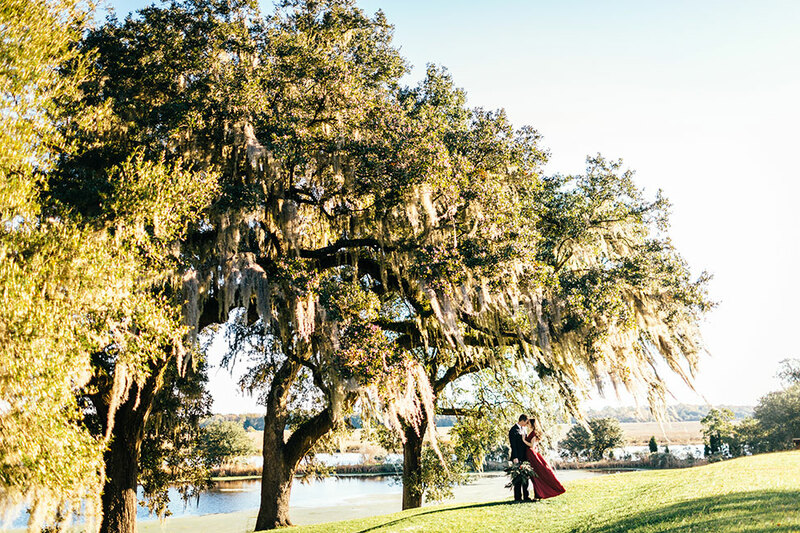 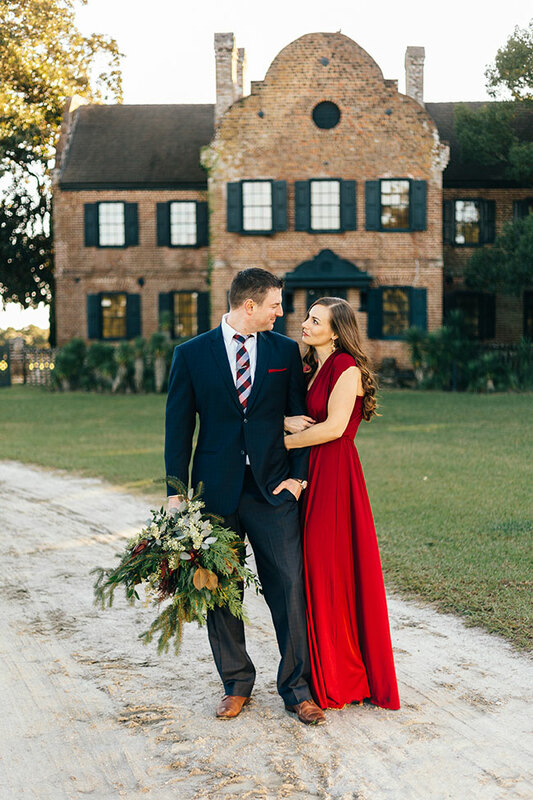 Starting out on the sprawling lawn of a perfectly southern brick estate, the couple snuggled up as the wind drew gusty breezes off the banks of the Ashley River. 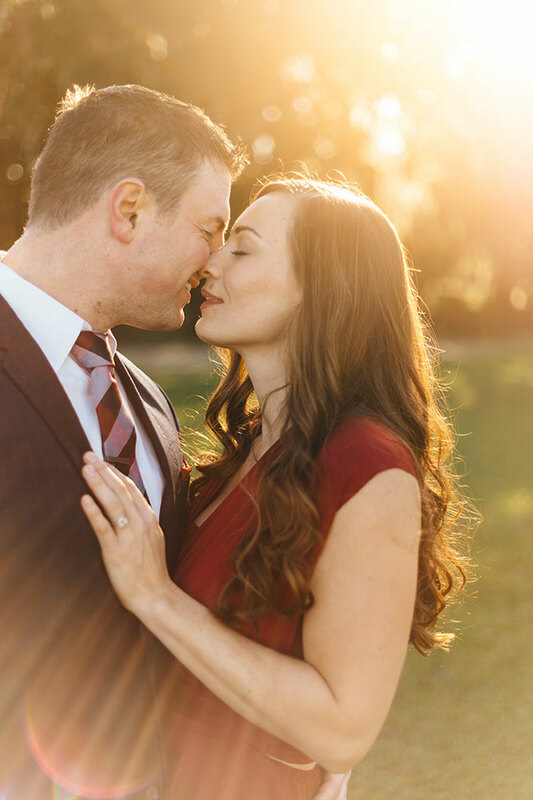 Sun flare filled each frame in a delicious way, while the wind made for some wonderfully romantic moments. 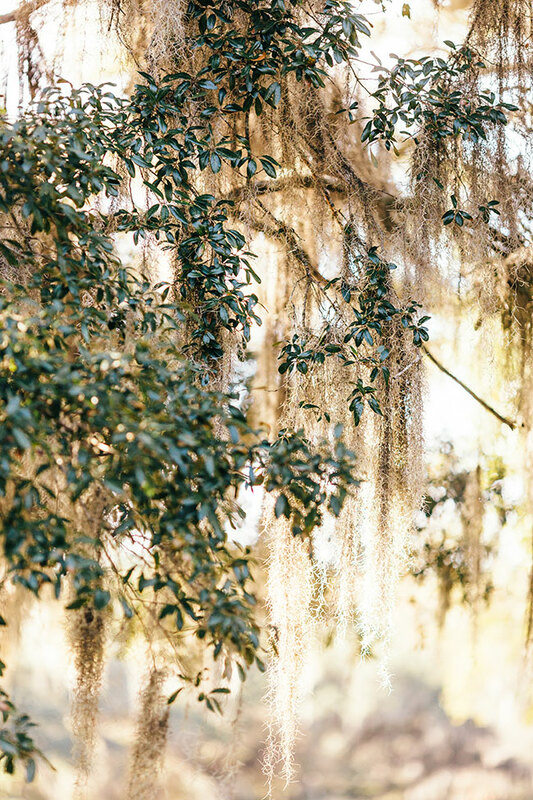 No trip to a plantation would be complete without heading to the gigantic live oaks, all of which are draped with ever iconic Spanish Moss, a total must for portraits. 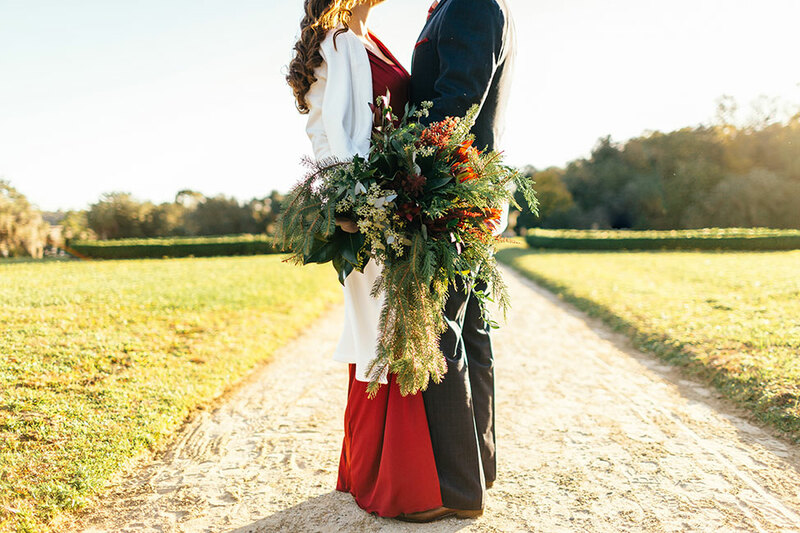 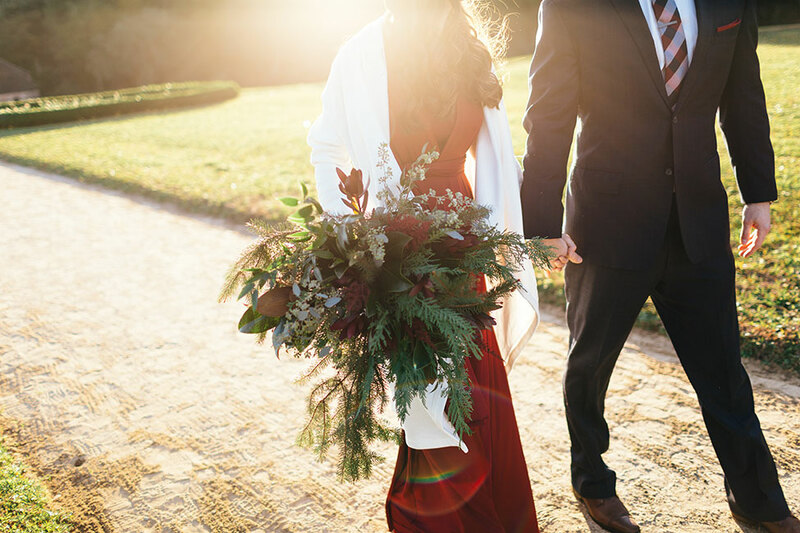 To inject some true winter vibes into their late winter plantation engagement session, our cozied up couple brought along a uniquely cool oversized winter wedding bouquet from Tennessee florist Lisa Foster Floral Design Studio. 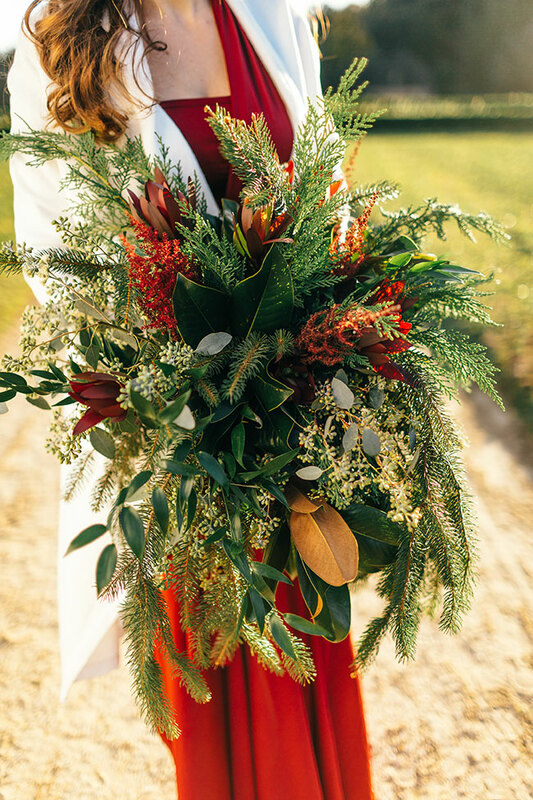 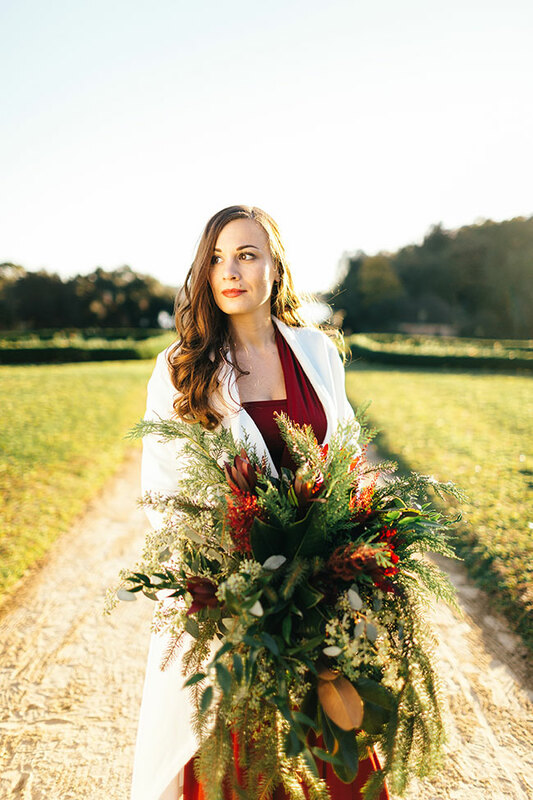 To create the winter bouquet, Lisa Foster blended evergreen branches, seeded eucalyptus, fiery orange-red astilbe and stems of red tipped Leucadendron Safari to create the splendid southern winter bouquet. 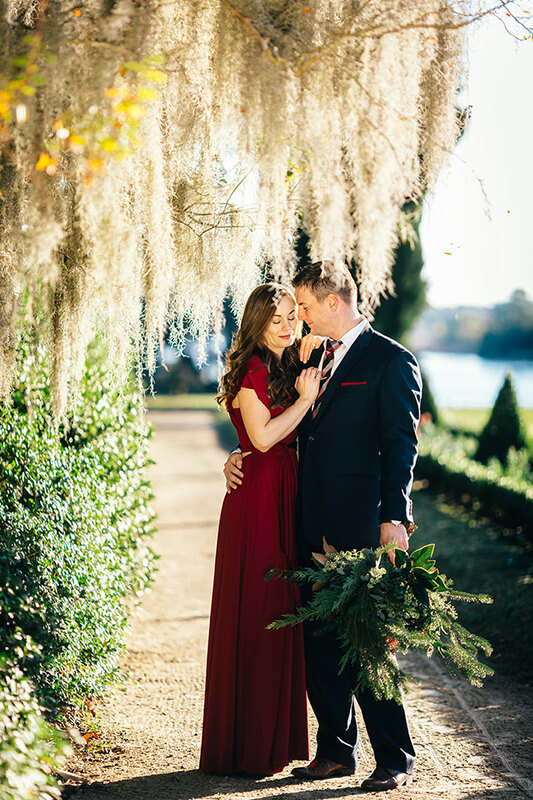 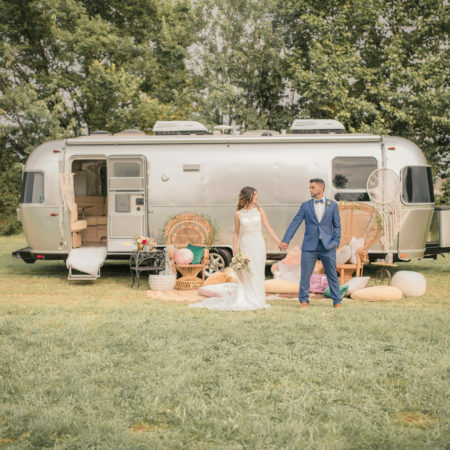 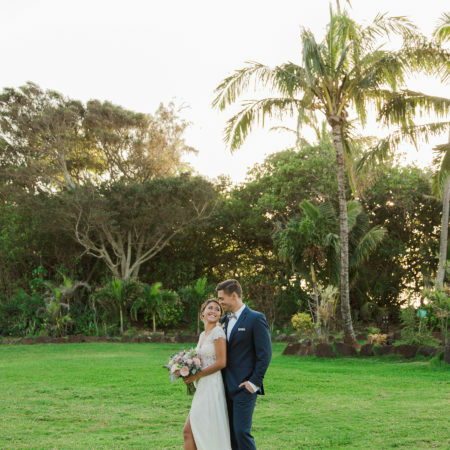 Winter for many is often a time to stay indoors, however when you have the advantage of living in the south where temperatures can be far more favorable, its a wondrous playground for all things weddings!